Tutorials of converting DRM protected movies on Mac with NoteBurner. Don't worry. Here you can find all the tips about removing DRM from iTunes movies on Mac platform. The article tells you why there is 24-hour limit on iTunes rentals and how to unlock the 24 hours limitation to keep iTunes rentals forever with a powerful DRM removal. The article tells you how to extract audio to M4A from iTunes DRM M4V Videos on Windows 10 and Mac OS X EI Capitan with NoteBurner M4V to M4A Converter. • How to Convert M4V to MPG (MPEG)? This guide introduces a good M4V to MPG Converter and teaches users how to convert M4V videos to MPG (MPEG) at fast speed with lossless quality. This article talks about how to convert iTunes DRM M4V to MP3 on Mac OS X EI Capitan for playing on portable devices like iPhone, iPad, iPod, MP3 Player, etc. 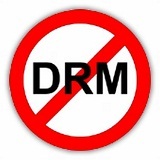 FairPlay is a DRM technology created by Apple Inc. to protect iTunes movies, TV shows, music, and audiobooks, ect. The article introduces 3 powerful FairPlay DRM Media Converters to bypass the DRM protection from iTunes digital files. Don't know which Motorola smartphone is worth to buy? Here we introduce the top 4 Motorola phones for you to purchase and also describe an easy way to enjoy iTunes HD movies/TV shows on these Motorola Phones. Here we briefly review Nvidia Shield Android TV, and explore an easiest way to cast iTunes DRM-ed movies or TV shows to Nvidia Shield Android TV for playing on your HDTV. The article also introduces how to strip iTunes DRM with NoteBurner M4V Converter Plus. 4K TV is the hottest buzzword now, and tech gaint liske Samsung, Sony and LG, etc, all introduce 4K TV. The article mainly explores what is 4K TV and how to watch iTunes HD purchased and rented movies/TV series/music videos on 4K TVs. The best way to play iTunes 1080P M4V videos on home theater projector is to remove DRM protecteion with the best DRM Media Converter - NoteBurner. Samsung Smart TV can not play downloaded iTunes Movies. This article will guide you how to enjoy iTunes content on your Samsung Smart TV by removing DRM protection. You will learn how to convert purchased and rented iTunes movies TV shows to Samsung Smart TV supported MP4 format. This article will guide you how to get rid of iTunes DRM protection and play iTunes videos on Panasonic Viera using popular tool NoteBurner M4V Converter Plus. The world’s slimmest Android television - Sony Bravia TV X90C is going to be published, so those who are keen on it and want to play streaming iTunes videos on it should read this tutorial which includes several ways to solve drm protection and streaming problems. LG Smart TV can not play purchased or rented iTunes Movies. This article will guide you how to watch iTunes content on your LG Smart TV by removing DRM protection. Ultimate guide to remove drm protection from iTunes movies TV shows on the latest Mac OS X 10.10 - Yosemite. NoteBurner DRM Removal for Mac is what you need, which perfectly supports OS Yosemite and iTunes 12. Here is the best way to keep AC3 5.1 audio when remove DRM and convert iTunes videos. NoteBurner DRM Removal can remove DRM from iTunes videos and convert them to any format you need with 5.1 audio preserved. This article will show you two simple ways to convert iTunes DRM M4V movies to MP4 on Mac with Any Video Converter Ultimate and NoteBurner M4V Converter. This is the easiest way to cast iTunes movies or TV shows to Chromecast and enjoy them on your HDTV. You will learn how to strip DRM protection and convert iTunes M4V movies to Chromecast supported MP4 format, and how to stream converted iTune content from Chrome Browser to your TV. This article will guide you to transfer and backup purchased or rented iTunes moves TV shows to external hard drive easily. You will also learn how to play iTunes movies from external drive freely with any player and TV. Uesful tutorial for iTunes movie lovers! Want to watch iTunes movies on your DVD player? Don't worry. This article will show you the way to do it. If your TV has a USB por, here is an article guides you how to play DRM protected iTunes movies TV shows on TV from USB Flash Drive. You will also learn how to do it if your TV does not have USB port. Detailed guide to Play iTunes Movies or TV shows on Roku. The important part is removing DRM and converting the M4V files to MP4 with NoteBurner iTunes Movie to Roku Converter.